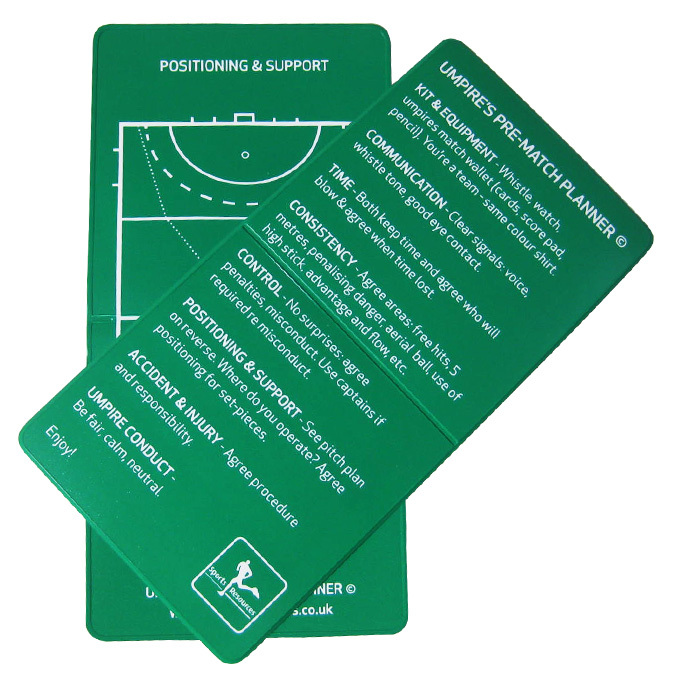 Created by Sports Resources, this is a fabulous new hockey umpiring resource – the Umpire’s Pre-Match-Planner © is designed to remind you, just before the game, of the key areas of communication, conduct and positioning – essential for a consistent game with your fellow umpire. 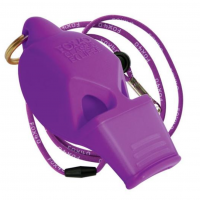 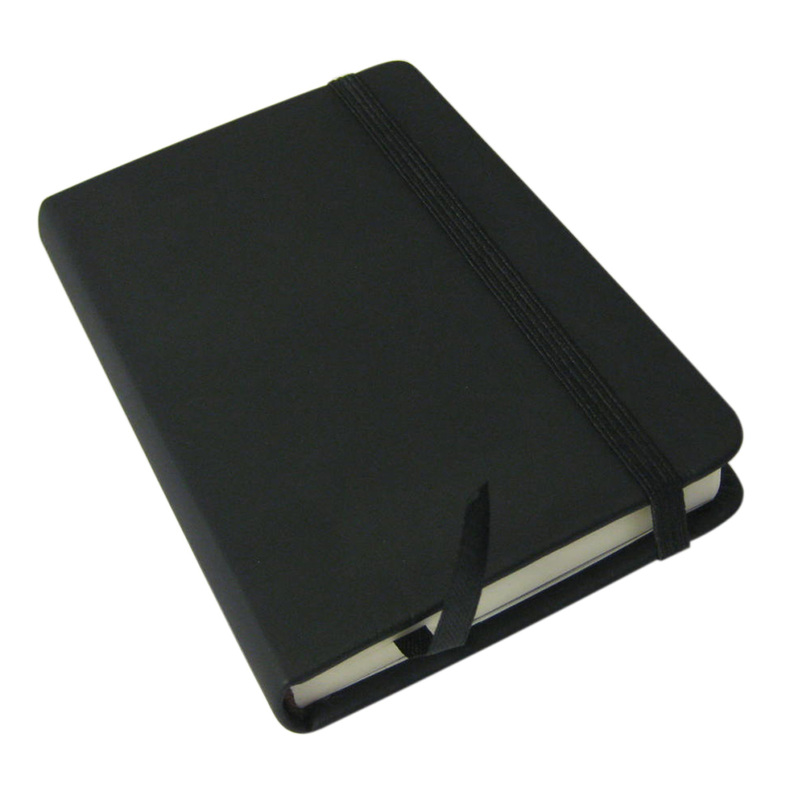 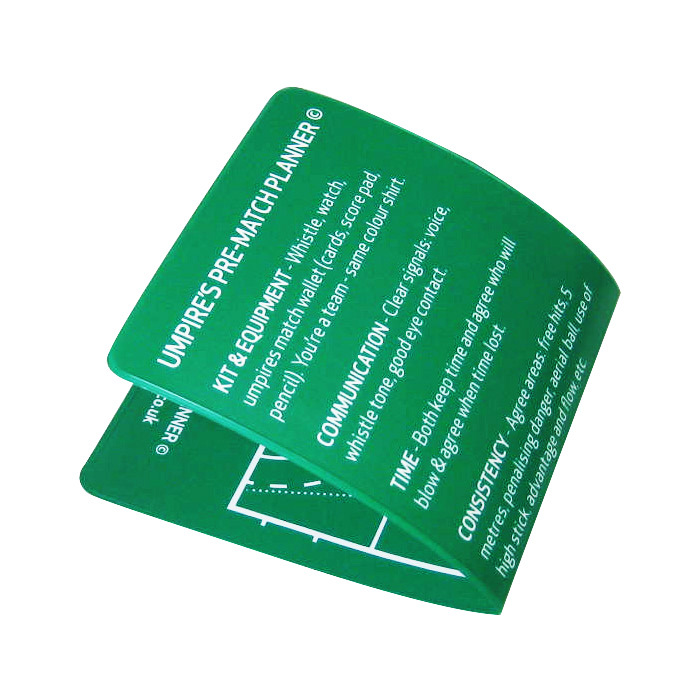 It is made of a flexible plastic, completely waterproof, will not tear, can be folded and scrunched in to your pocket. 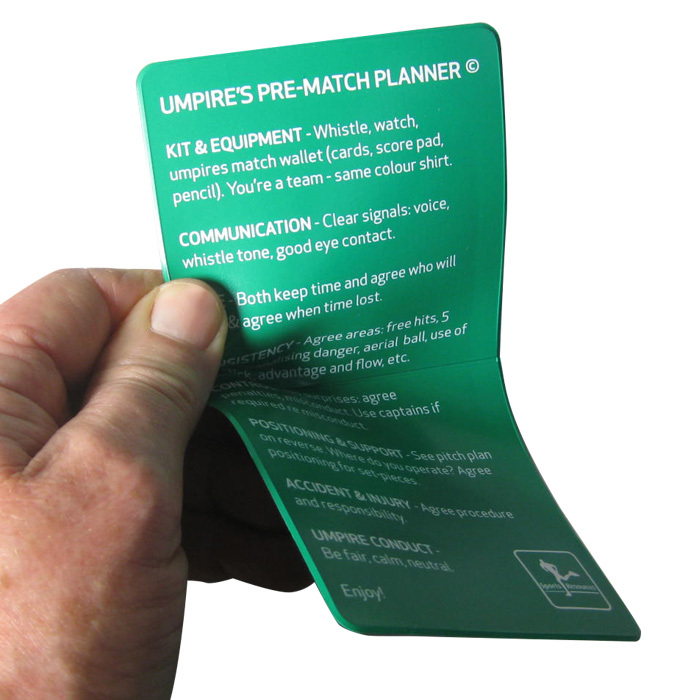 It fits neatly inside the Sports Resources Umpire’s Match Wallet © and folds down to the same size as our yellow warning card. 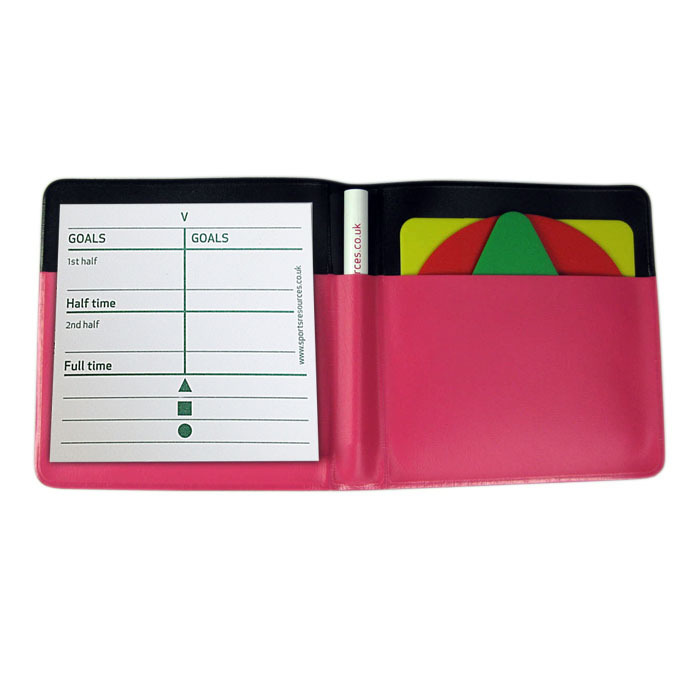 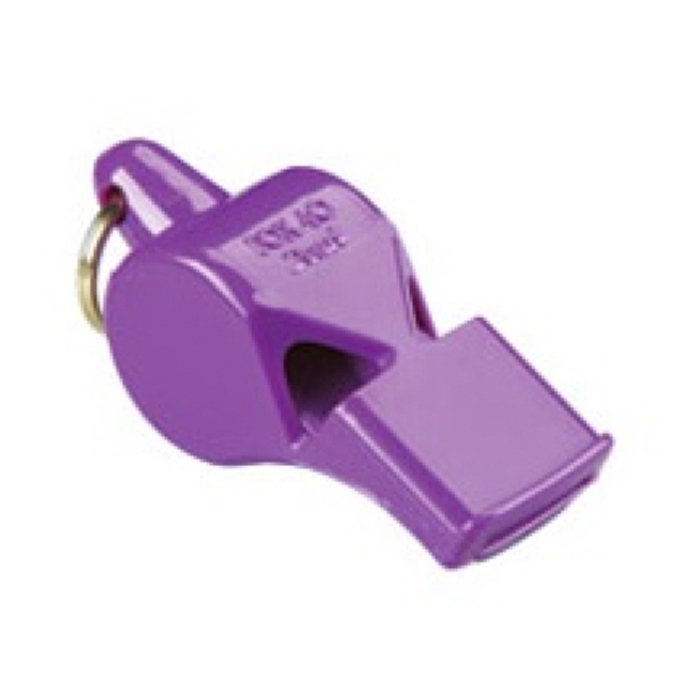 Be the first to review “Hockey Umpire’s Pre-Match-Planner © Sports Resources” Click here to cancel reply.